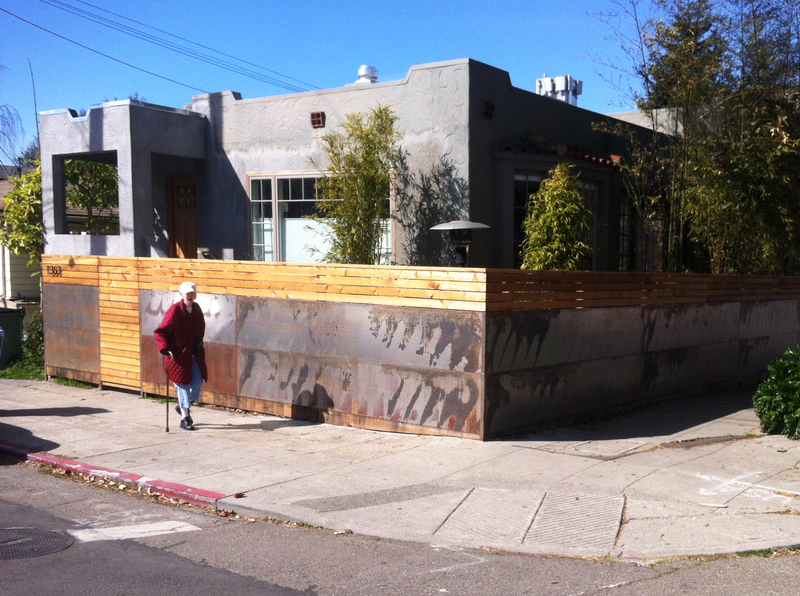 On my way to buy a delicious vegan donut at Fellini Coffee Bar this morning I stopped to take a picture of this redwood and cor-ten steel fence and struck up a conversation with this lively 80-something year old woman. She asked whether I liked the fence, and was very interested in cor-ten steel when I explained its properties to her. She was curious why I was interested in this fence and whether I was an artist. When I told her I was an architect she was very excited and told me that architecture is her favorite thing. She grew up in the heart of Chicago in the 30s and 40s and developed a love for buildings. Chicago is rich in architecture and its people seem to take great pride in their built environment. She now lives in the Strawberry Creek Lodge in Berkeley and is looking forward to the renovations and seismic retrofit that is scheduled for the building. It was nice to meet someone who appreciates architecture as much as I do.